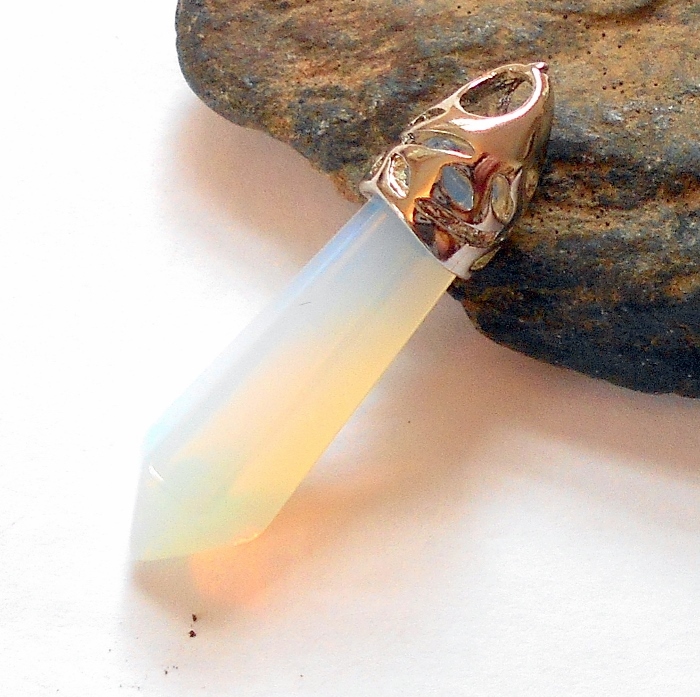 A long white opalite gemstone set in a silver plated pendant. 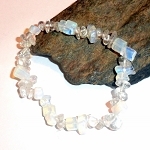 Opalite, also known as Tiffany Stone, helps with communication, clairvoyance, and removing energy blockages. 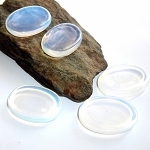 It is an excellent healing gemstone, also associated with business success. 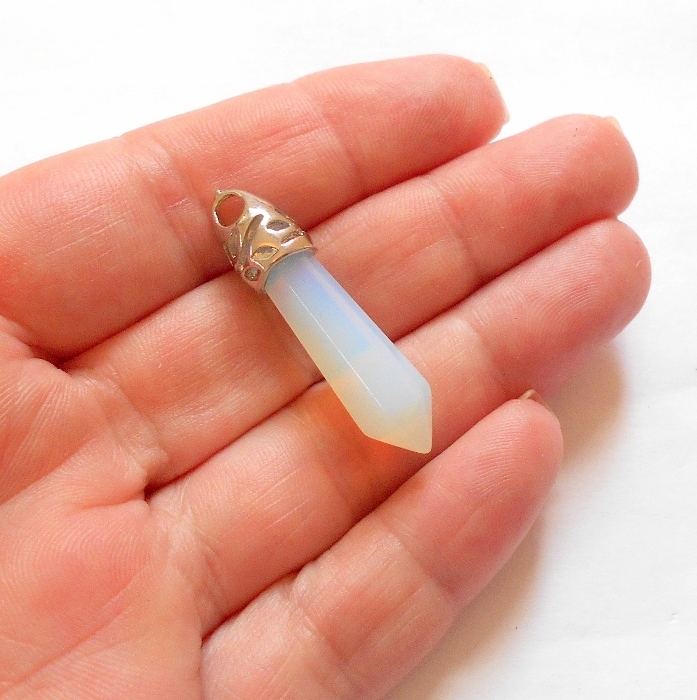 Opalite gemstone pendants are approximately 1 3/8 inches long.